On Friday we went north to climb Ben Stack, then on Saturday the Corbetts of Cranstackie and Beinn Spionnaidh. 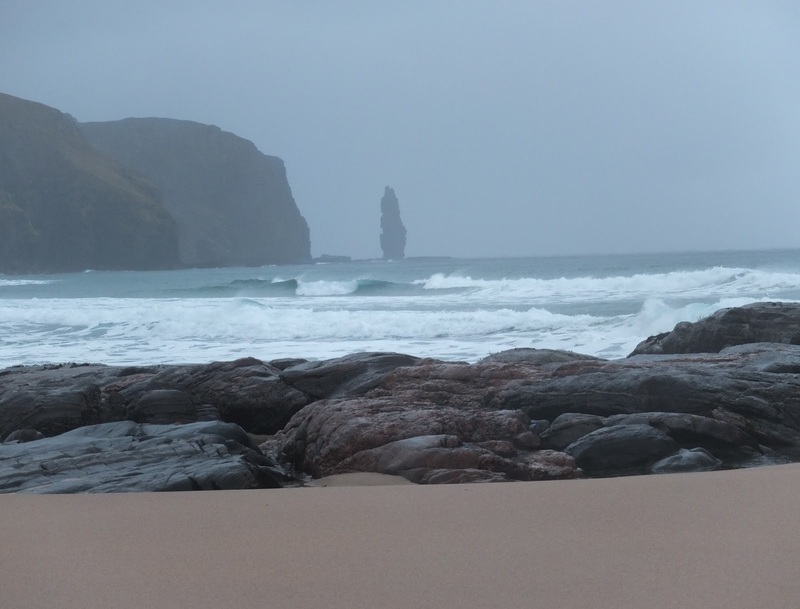 It was cold and windy, mostly misty and very icy rocks. Lovely hills though and typical of the area ie pathless, wet, grassy and boggy to the cols where rocks and short grass lead to the summits. Would have been good to get the views! 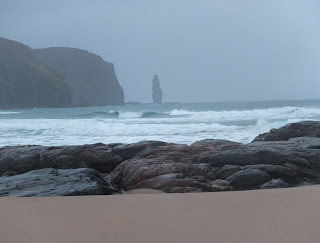 It was raining hard on Sunday so we walked to Sandwood Bay, having not visited it for years.